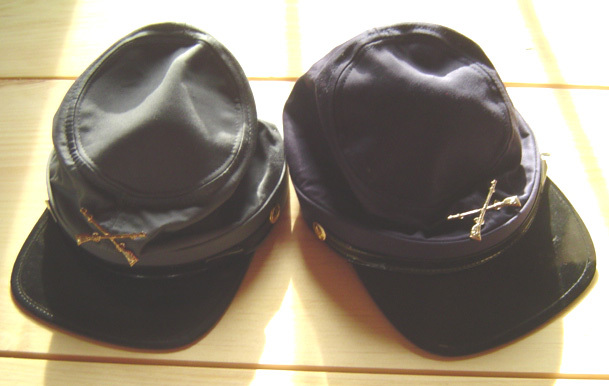 $5.95 + s/h Replica Union soldier kepis. One size fits all. $5.95 + s/h Replica Confederate soldier kepis. One size fits all. $17.99 +s/h Replica wooden and metal cap pistol. Comes complete with package of roll caps. Adult Supervision is required. $21.99 + s/h Replica wooden and metal cap rifle. Takes standard roll caps. Gunpowder items cannot be mailed through the postal service.Adult Supervision is required. 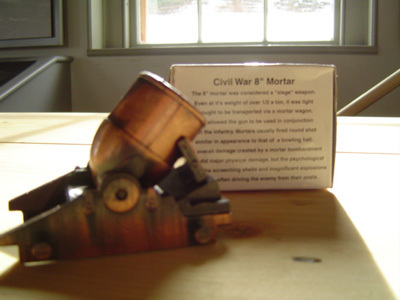 $9.50 + s/h Collectible replica of 8" mortar cannon used during the American Civil War. Approx 3" in length. 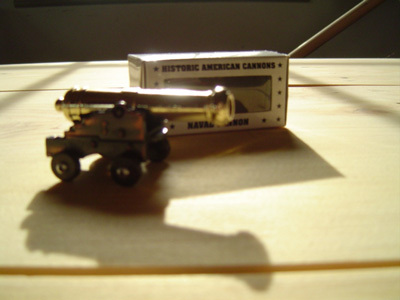 $5.95 + s/h Collectible replica of naval cannon used during the American Civil War. Approx 2.5" in length. 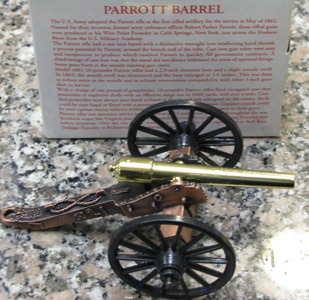 $8.95 + s/h Collectible replica of Napolean Light Gun used during the Civil War. Approx 5" in length. 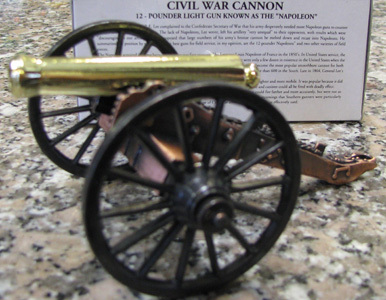 $8.95 + s/h Collectible replica of Napolean Light Gun used during the Civil War. Approx 3.5" in length. 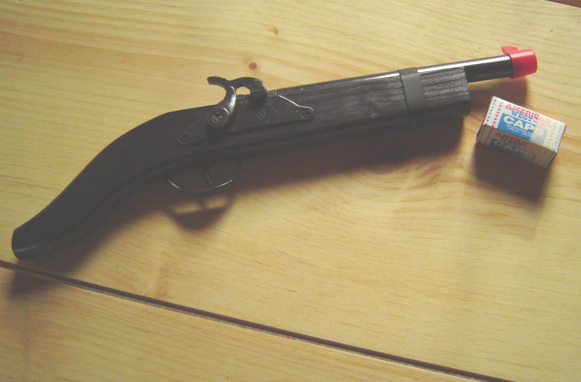 $10.00 + s/h Collectible replica of Napolean Light Gun used during the Civil War. Approx 6" in length. 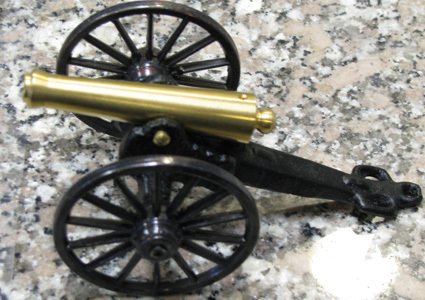 $8.95 + s/h Collectible replica of the first rifled artillery used by the U.S. Army during the American Civil War. Approx 6+" in length. 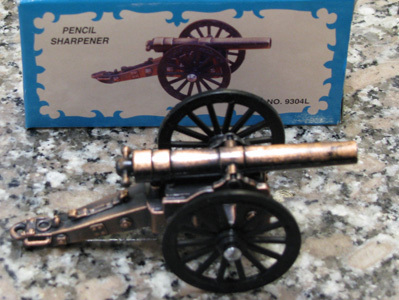 $3.95 + s/h Collectible replica, which can also serve as a pencil sharpener. Approx 4" in length. 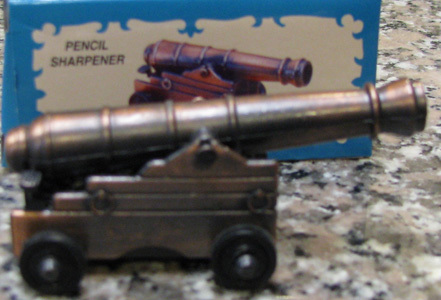 $3.95 + s/h Collectible replica of a naval cannon, which can also serve as a pencil sharpener. Approx 3" in length. 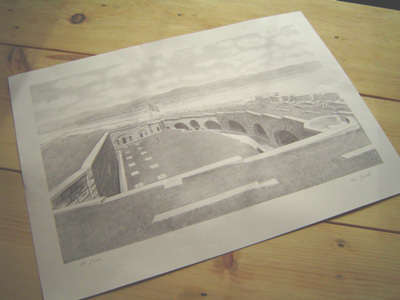 $15.00 + s/h Black and white Fort Knox architectural print.Numbered and signed by the artist. Outstanding detail! 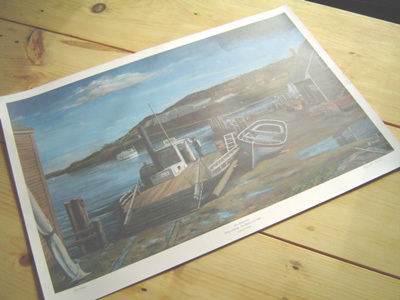 $25.00 + s/h Color print depicting the ferry crossing in the town of Bucksport, with a view of the Fort from across the river as seen during the Civil War. Signed and numbered by the artist. 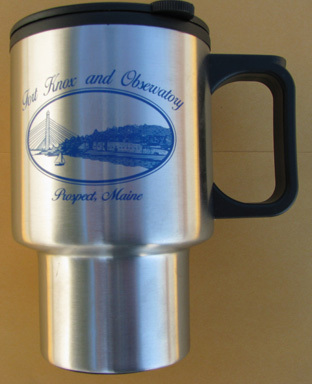 $6.00 + s/h Brushed stainless steel travel mug with plastic liner with Fort, Bridge and river scene. 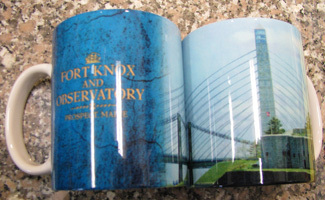 $7.00 + s/h Ceramic coffee mug with Fort Knox and Observatory scene. 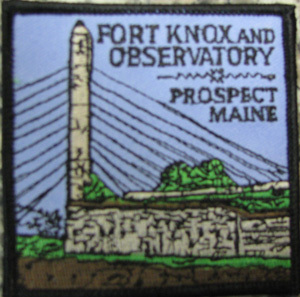 $4.00 + s/h Embroidered Fort Knox and Observatory patch surrounded by black border. 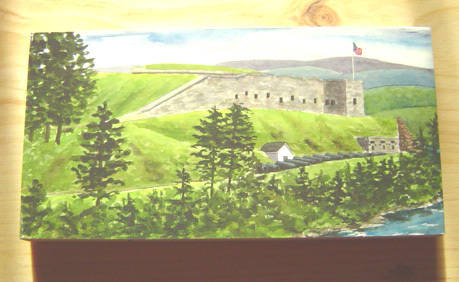 $20.00 + s/h Collectible wooden plaque featuring Fort Knox. Approx. 8" in length. 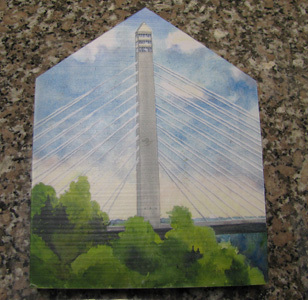 $20.00 + s/h Collectible wooden plaque featuring Fort Knox. Approx. 12" in length. $20.00 + s/h Collectible wooden plaque featuring Fort Knox. Approx. 10" in length. 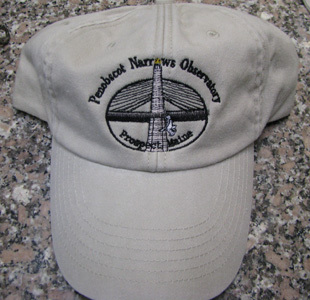 $20.00 + s/h Collective wooden plaque featuring the Penobscot Narrows Observatory. Approx 7"� in height. 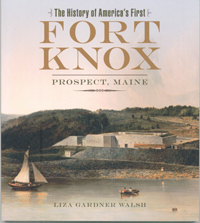 $22.94 Including shipping and handling (within the United States) The book contains wonderful fort photos and traces the History of the fort from ancient geologic past to present day. 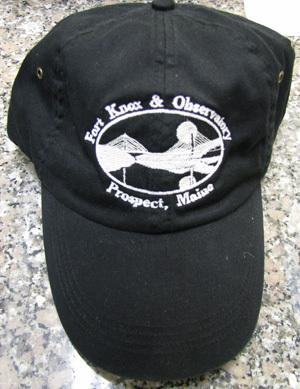 The Fortkeeper's Keys. 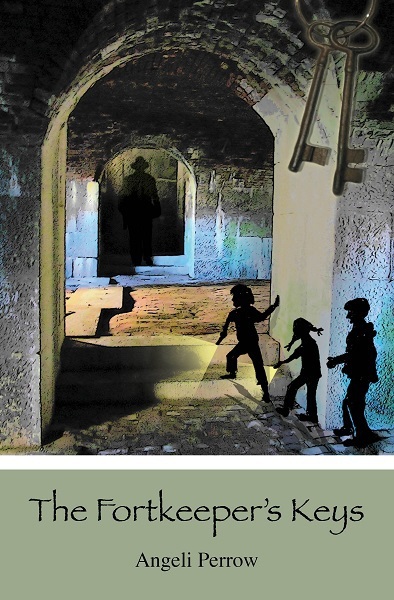 by Angeli Perrow $16.68 Including shipping and handling (within the United States) Intriguing mystery set at Fort knox for children ages 8-12. 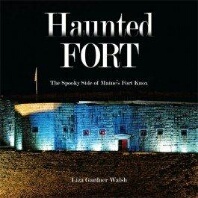 Fiction, but includes real history of the fort and the life of Ord. Sgt. Leopold Hegyi, keeper of the fort in the late 1800s. 194 pp. 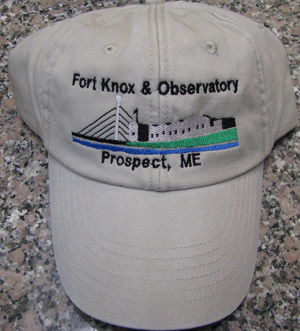 $45 Allows all occupants of the vehicle free day-use (Senior card holder must be in vehicle). Price changes effective August 15, 2016. You will be billed for shipping charges. 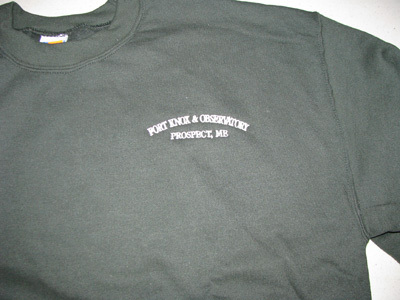 Once your order has been placed we will contact you with a shipping cost amount.